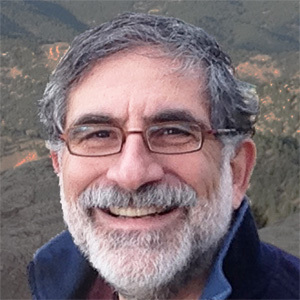 David Goldberg is the CEO of CSMlearn headquartered in Boulder, CO. Follow them on Facebook, Twitter and LinkedIn and YouTube and learn more at csmlearn.com. CSMlearn is a Public Benefit Corporation committed to empowering people around the world to reach their full potential through our CSM course and Certificate. To succeed in school, college, work, and life, you need more than just skills – you need high-performance mindsets and traits. The CSM Course uses next-generation personalized learning technology to build and certify independent learning skills, persistence, confidence, and most importantly, self-efficacy. The CSM Certificate certifies universally valuable traits and mindsets (while the skills they need are different, a 9th grader, CEO, nurse, and custodian all need to approach what they do with a problem-solving mindset, conscientiousness, and persistence). At the same time, the CSM Course makes this certificate accessible to everyone, even adults with fourth-grade literacy skills. In addition, the American Council on Education has evaluated and recommended three semester hours of quantitative reasoning credit at the lower division baccalaureate level for the CSM Certificate. This means that CSM is an alternative path to college math placement and math requirements for many certificate and degree programs. Our work is deeply equity-based. Because the CSM Certificate is universally valuable and universally accessible, it can transform people’s perceptions. When the principal of a high school sees struggling students succeeding at a course she herself found challenging, she has new insights into their potential. When an entire manufacturing plant builds high performance together, no-one is left behind, and all have a newfound respect for each other. We train and certify thousands of students every year, including high school students, college students, adults at workforce development centers, and incumbent employees. We are inspired by our users. Adult education students who have been trying to earn their GED for years tell us that CSM finally gave them the skills to earn their GED, and now they’re ready for college! At the same time, students with master’s degrees have told us that CSM made them more confident in tackling tasks at work and feel ready to go for new promotions. Our goal is for the CSM Certificate to be a valued certificate for all, with millions of people gaining skills and access to new opportunities through CSM. We need active, engaged leaders who believe in CSM and are ready to make a change. These leaders can be in schools, colleges, workforce development, companies, or communities. We are also seeking investment for scaling. Our educational system is extremely focused on skills, and very little attention is paid to performance characteristics. CSM doesn’t match closely with most of the accountability systems that our users operate under, which means that we have to show benefits in new ways. Keep on networking! You never know where you will find that next great partnership or how your connections can help guide your development. It’s amazing to trace back some of our deepest partnerships through many steps of conversations that happened years ago. Become CSM Certified yourself, or explore using CSM in your organization, no matter what you do. We’re also actively seeking investment. Orapin Marketing + Public Relations is an award-winning agency that generates awareness, engagement, and, ultimately, support for purpose-driven organizations. We amplify their voice and reach so they can increase their support, income, and impact. If you would like to be featured on INSPIRED IMPACT™, reach out to hello@orapinmarketing.com.